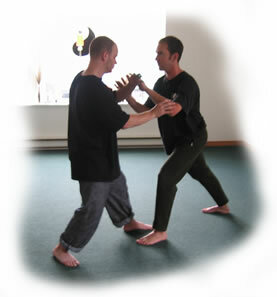 Come to discover 'The Essence of Self-defence' in both Theory and Practice. 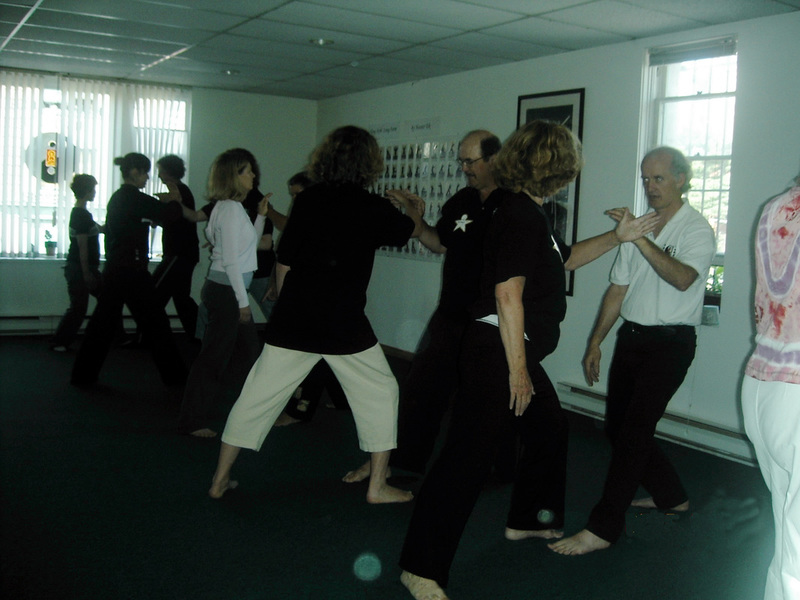 Reconcile the achievement of your Tai Chi Form practice with your fellow classmates. Know yourself, know your ground, know your counterpart and you will know what you could achieve in 'real' life. Students will learn to apply their rootness and/or grounding acquired throughout their solo form practice. Techniques and skills to deflect, re-direct and neutralise your counterparts' intent to push will be mentioned but not emphasised. Learn to be open, calm and not over-react. Go along with the flow (of your opponent) without losing your ground. Verify your awareness (through the contact with your opponents' hands) and your presence (through the connection of your feet to the ground) from moment to moment throughout the program.